Business Representation | Schlueter, Mahoney & Ross, P.C. Business Representation Services Denver, Colorado owning and operating a business is a 24 hour a day, 7 day a week endeavor. That kind of commitment doesn’t leave you with a lot of time to worry about your legal business representation. Let one of the trusted business lawyers at Schlueter, Mahoney & Ross, P.C. take care of it for you. We have been representing businesses of all kinds in Denver, Colorado since 1989, giving us the insight and expertise needed to offer effective business legal services to our clients. Through in-depth client meetings with you, your business attorney will identify the documents needed to protect your business and safeguard your interests. We can assist with everything from incorporating your business and drafting business agreements to resolving disputes, in or out of court. Our attention to detail, strong emphasis on client satisfaction and the small size of our firm, allow us to pair you with a business attorney who thoroughly understands your business and who will take the time to truly get to know you and your needs. Our attorneys understand the nuances of Colorado law as well as the specific needs and challenges that business owners face. Your business interests will remain at the forefront of our legal recommendations, and your ideas and concerns will be listened to and respected. 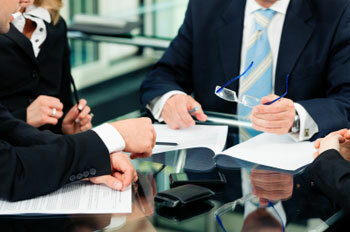 We pride ourselves on our efficient and effective business representation and our prompt response to our clients.